The twelve month 2010 sand drag racing calendars are here. This year’s calendar has shots from sand drag vehicles from across the country, with over fifty full color pictures and a special kid’s page with over 20 photos alone! All orders must be prepaid to either the pay pal account or by phone with a credit card, then they will be shipped UPS. Get Em’ while their HOT! 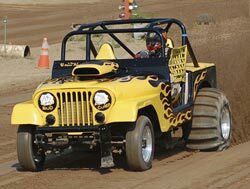 The Las Vegas Jeep club announced recently that the 2010 Las Vegas Jeep Club Jamboree will be held February 12-14 at the Dumont Dunes in California. 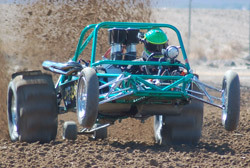 This event features traditional sand drag racing as well as a unique hill climb contest. An event flyer can be viewed by clicking “Read More”. Lone Star Graphics (www.lonestargraphics.com) informed us that the photo galleries are now online from the NSDA Dan Chittenden Fall Nationals in Primm, NV. All products are available for order online with photos from the gallery. Just jot down the photo # you want to use & specify that in the ordering process. We encourage you to check out the quality products Lone Star has to offer. Some of the winners from Fast Track Racing’s West Coast Nationals at the AVI Resort & Casino in Laughlin, NV. Records were broken this past weekend at the 2009 NSDA Dan Chittenden Fall Nationals in Primm, Nevada. After a few flat tires heading up Baker Grade on Thursday, Team CANIDAE/LUCAS OIL settled in for a full weekend of racing action. Unlike their last outing at Avenal, daytime temperatures in Primm were comfortable, registering in the 70s during much of the day. The 2009 NSDA Dan Chittenden Fall Nationals in Primm, NV was one of the biggest races of the 2009 sand drag racing season with some of the most dramatic moments seen all season. Much like the PTN series finale, the NSDA’s feature class “Top Fuel” came down to the final run of the season to decide the point series championship. Let’s take a look at some photos covering top stories from the weekend courtesy of our friends at Lone Star Graphics that did an amazing job shooting event photos, http://www.lonestargraphics.com. The 2009 NSDA season has seen great racing since the season opener at Yuma Speedway in February. There are several intriguing point series championship battles that are heading down to the final event of the season to decide. The upcoming NSDA Dan Chittenden Fall Nationals in Primm, NV will see the champions crowned. Let’s take a look at how the championship battles stack up in each NSDA category. The 2009 season at West Michigan Sand Dragway (WMSD) in Mears, MI saw some great racing from start to finish. It was quite a sight to see some new faces mixing it up at the top of the point standings along side many of the regular stand outs. Let’s take a look at those who finished at the top of the points list in 2009. 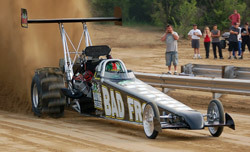 It is amazing that we are already into October and nearing the conclusion of the 2009 sand drag racing season. The racing season has pretty much wrapped up in the Midwest and the west coast season is heading towards wrapping up. The upcoming month will see the annual pilgrimage to Primm, NV for the NSDA Dan Chittenden Fall Nationals. This will be a large event with not only racers fighting for prestigious Primm race victory, but also those racing for NSDA series championships. We will be on-site with all of the latest from this event. The 2009 race season at West Michigan Sand Dragway in Mears, MI finished on Saturday night with the “Last Blast for the Bucks” race. Steve Ewing was crowned as the first ever champion in both the Pro and Sportsman point series at WMSD. Junior class point series champions ended up being Tyler Walla (Junior Dragster), Devin Reust (Junior ATV), and Joshua Rammacher (Mighty Midgets).